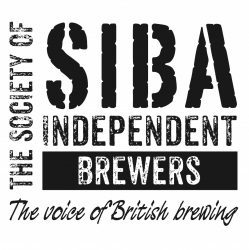 Forty-eight handpumps formed an impressive focal point at the SIBA national beer competition finals. The long row of pumps was the last link in a chain of operation designed to ensure that the beers were served in tip-top condition and in the way the brewers would normally offer them to pub customers. All had been racked three days before the judging session and kept in a cellar at a constant 11ºC. The judges — a mixture of brewers, leading figures in the industry, and journalists — were tasting 49 draught beers, one of them brewery-conditioned and therefore not on handpump, and seven bottled beers that had all won category finals in SIBA’s seven regional competitions. At the national finals, staged in the Barrels pub in Hereford, the winners of each of the draught beer categories, which ranged from milds to stouts, old ales and porters, went into a final judging session to decide the supreme champion. But the names of the winners remained a secret at the end of the day. The results will be announced on the afternoon of Friday 7 March at SIBA’s annual conference in York.